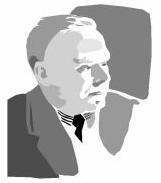 Wallace Stevens, who never learned to drive, walked to work, often composing poetry along the way. 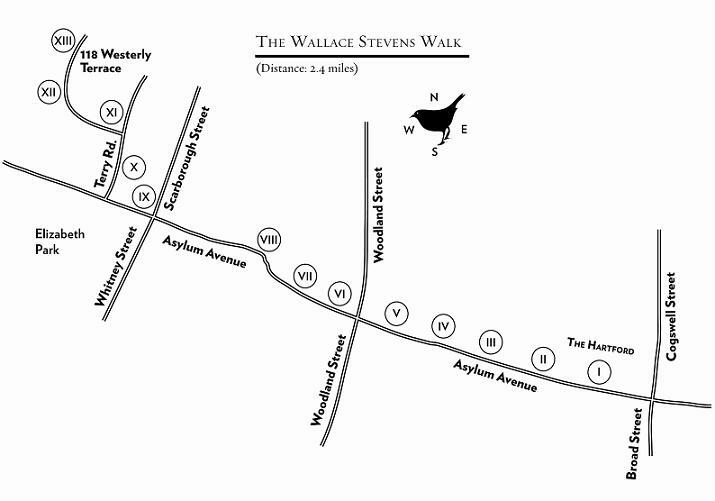 The Wallace Stevens Walk invites you to retrace the steps of the poet’s imagination from his workplace, The Hartford building at 690 Asylum Avenue, to his former home at 118 Westerly Terrace. Thirteen Connecticut granite stones mark the course of the walk, each inscribed with a stanza from his poem, "Thirteen Ways of Looking at a Blackbird." The Friends & Enemies of Wallace Stevens conceived this tribute and the generous contributions of many friends and the support of The Hartford Financial Services Group made the walk possible. Special thanks to architect John Orofino who designed the stones and coordinated their installation, and to Beij, Williams & Zito, the company that fabricated and installed the thirteen stones and the bronze plaque.